It’s a Friday, which means it’s time to check out the latest viral game which is causing a buzz on the net! 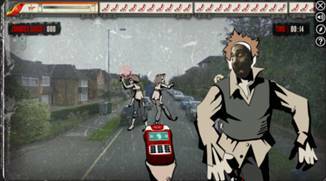 As part of their “Don’t Go Zombie” campaign, Virgin Trains have launched the first ever zombie game to use Google Street View. Simply by popping in your postcode, you can blast zombies’ right outside your own house! There are 3 difficulty levels, which correspond to the levels of stress experienced daily by commuters who use their cars instead of the train. A nice twist to this game is its use of Facebook Connect. If you end up being beaten by the hoards of the undead, your Facebook profile picture becomes ‘zombiefied’. Your friends can they save you by playing the game themselves. You should also keep your eye out when you’re blasting zombies – Richard Branson is said to be appearing in the game himself as a zombie this Summer! 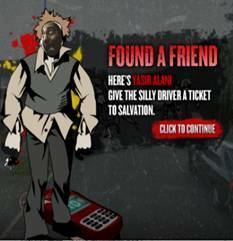 Head to www.dontgozombie.com to try the game out yourself. Previous Previous post: We made the final cut for the Cosmo Awards!